By Connie Diekman, M.Ed, RD, LD, FADA. Connie Diekman is a Nutrition Communications Consultant and Director of University Nutrition at Washington University in St. Louis, Missouri; Former President of the American Dietetic Association (ADA) now the Academy of Nutrition and Dietetics; Diekman is a former media spokesperson for the Academy and was the voice of the “Eating Right” minute which aired daily on WBBM radio in Chicago. This month, GMO Answers wants to give you a glimpse into the daily lives of some of our volunteer experts who provide answers to your questions about GMOs, agriculture and biotechnology. We heard from a farmer who balances farm and family life in the last installment. 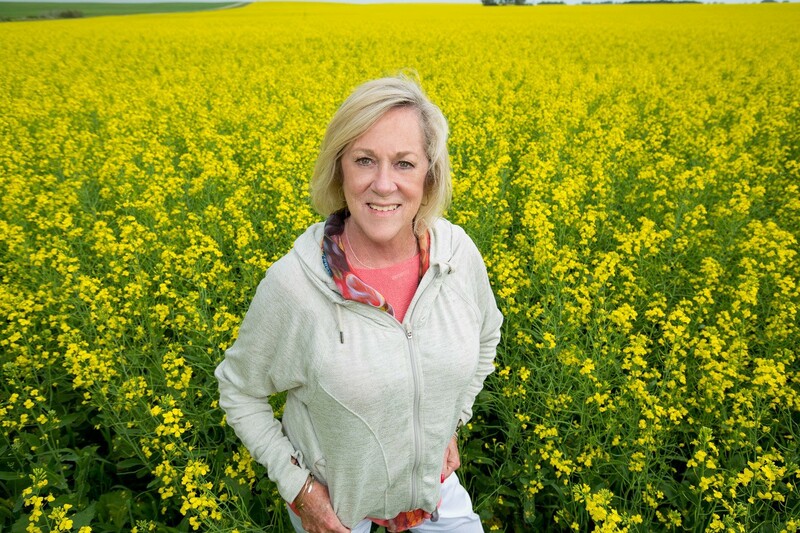 So, in our second installment of our “Day in the Life” series, we asked university dietitian and GMO Answers volunteer expert Connie Diekman what a typical day in her life is like. 1. Tell us about yourself — how did you decide to become a nutritionist? It seems that I have been a dietitian forever so remembering how I got here is “tricky”. I always loved science and enjoyed food so in high school I found science classes offered me the opportunity to think, to feel challenged and to wonder. As I understood biology I realized that the food I loved was about chemicals and biological digestion so wow how fun would it be to learn more about the science of food. That was the start and — the rest, well here I am, lots of years later loving the science of food and the enjoyment of sharing good food. 2. How do you spend a typical day? One thing about a job as a university dietitian is that there is no such thing as a typical day. On campus I spend time in student health, helping our students deal with high cholesterol, helping them with weight loss, working through challenges with eating disorders and many other clinical issues. I also work with our student athletes to help them make the most of their performance on the field, court or in the pool and of course, in the classroom. I work with our athletic trainers to develop plans for meals on the road, sessions with athletic teams and dealing with any athletes who are injured and need to develop an eating plan for recovery. 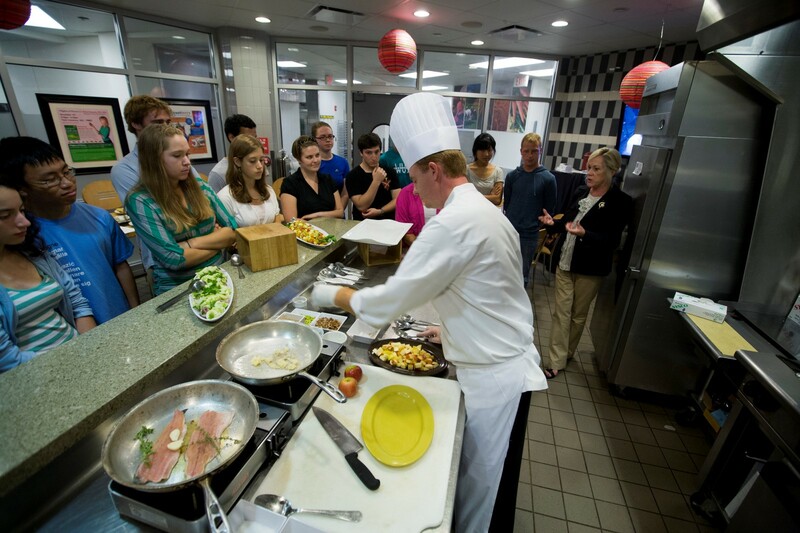 I also work with our dining services, where I provide the nutrition guidelines for dining, work with the chefs as they develop menu items so that we can provide a good variety of options from the “decadent” to the “better for you” that still taste amazing. 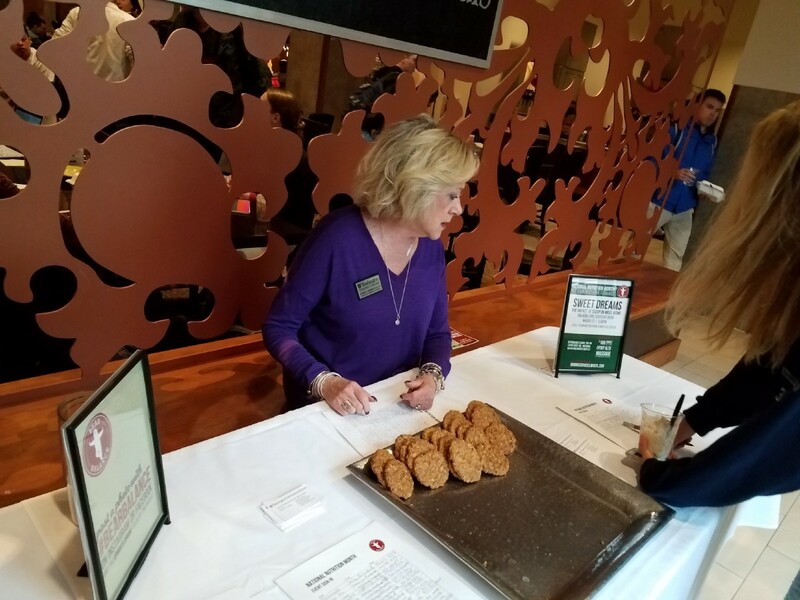 I also provide nutrition education in our dining locations — Nutrition Tips on table tops, nutrition messages on digital screens, counsel for students with food allergies and many other nutrition education related activities. And finally, I am a resource for all campus groups — sororities, fraternities, the resident advisors, HR, individual schools on campus — so anywhere that nutrition is wanted. 3. What would you tell clients with questions about the health or safety of GMOs? How can they tell if their food contains GMOs? I consistently tell people that GMOs are safe, the science from more than 20 years has shown that, and they do provide a good option for farmers who need to have a variety of tools on hand to help them grow the best crops and nourish their animals in the best way. GMOs will provide one more way for farmers to raise enough food to feed our growing population, they are safe, beneficial and need to be available. Learn the science and make your own personal choice based on the science, not the myths shared by others or the internet. There are 10 crops that are genetically modified (GM) — cotton, alfalfa, corn, sugar beets, squash, soybeans, canola, papaya, potato and apple, but since the impact of GM does not change the nutrition of the crop — and of course not all of the 10 crops are food products — currently these foods do not need labeling. 4. What’s something you wish everyone knew about your job? It is exciting, challenging, full of opportunity and hopefully a position that can help young adults — and our staff — learn the science of food so that they don’t fall victim to internet myths and that they can enjoy the foods they choose to eat. 5. With so much information available about health and nutrition, what are some tried-and-true principles everyone should follow when making food choices? The U.S. Dietary Guidelines provide an excellent framework for making healthful food choices. They reflect the current science and they provide flexibility for a variety of eating patterns. What has been found to be the best diet advice is summed up in three words that many people don’t like — Balance, Variety and Moderation — but these words do convey how to approach healthier eating. Choose a good balance of plant foods and leaner animal foods. Enjoy a variety of foods within each of those groups — so rice, pasta and whole grain cereal, not just bread. And finally, portions do matter. 6. What’s your favorite guilty pleasure (but still healthy) snack? All foods can fit into a healthful eating plan — it is about the quantity, frequency and what else you eat. With that said, who can’t resist a good piece of dark chocolate?